Iga-yaki donabe are not only amazing cookware, but also they are so beautiful to look at. 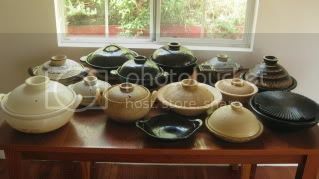 I often just like to admire each donabe's wabi sabi beauty. Each donabe has its own character. You can find more about authentic Iga-yaki donabe at our website. www.toirokitchen.com These donabe are available to order online.